BEIJING (AP) — China's automakers are the underdogs heading into next week's Beijing auto show, where foreign and domestic brands will jostle for attention in a market that is increasingly difficult for homegrown models. Facing intense competition from General Motors, Volkswagen and other global rivals, local brands such as Chery, Geely and SUV maker Great Wall have suffered shrinking sales and market share this year while China's overall auto market has grown. That is a blow to Chinese leaders who have made it a national priority to catch up with neighboring Japan and South Korea by creating globally competitive automakers. "I am pretty pessimistic about the domestic brands," said Wang Chao, auto editor for the newspaper China Youth Daily. "They have to work even harder to win customers." 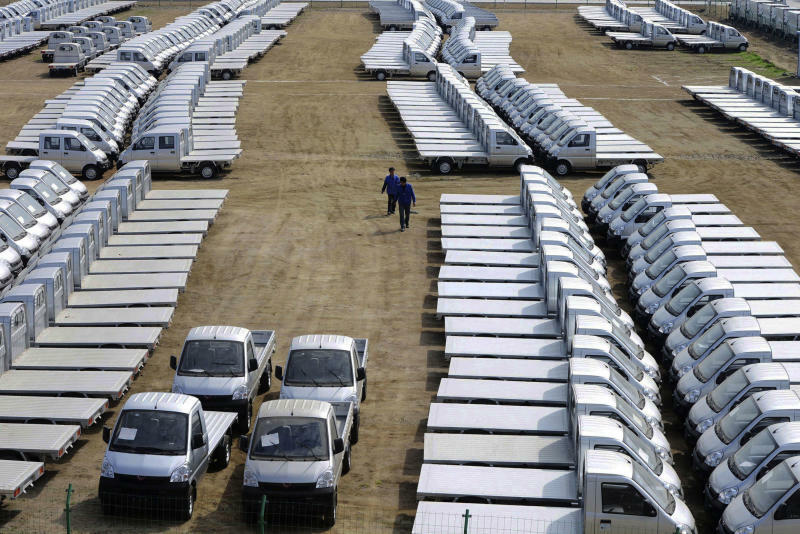 China is the world's biggest auto market, with last year's sales rising 15.7 percent from 2012 to 17.9 million vehicles. That has supported the rapid growth of Chinese brands. But it also has attracted U.S., European, Japanese and Korean automakers that have more advanced technology and are spending heavily to appeal to local tastes in a market they see as a key to their future growth. In the first quarter, sales by Chinese brands shrank 2.6 percent from a year earlier while the overall market grew 7.9 percent, according to the China Association of Automobile Manufacturers. Their market share shrank by 4.5 percentage points to 38.7 percent while German, American, Japanese and Korean rivals gained. "The dramatic decline in domestic sales has exceeded even our bearish expectations," said Bernstein Research analyst Max Warburton in a report. China's fledgling independent brands face an array of problems from weak research and development to lack of marketing experience. Adding to competition in a crowded market, Ford Motor Co. is using the auto show to launch its luxury Lincoln brand in China. General Motors Co. plans to unveil a new Chevrolet Cruze compact and to display an updated Cadillac CTS and Chevrolet Trax SUV. Nissan Motor Co., looking to China to help drive its global turnaround, will debut a concept sedan. Chinese brands are using the show to showcase their latest sedans and sport utility vehicles. Geely Holding Group, owner of Sweden's Volvo Cars, is launching a new branding campaign. BYD Ltd., the country's leading maker of electric cars, is to unveil a compact sedan and a plug-in hybrid SUV. Foreign brands have long dominated the premium end of China's market. Some see China as so important that they have broken with the industry trend of selling the same models everywhere and are designing vehicles for this country. Now, they are making inroads with unexpected speed into Chinese brands' former stronghold in lower-income markets outside major cities. 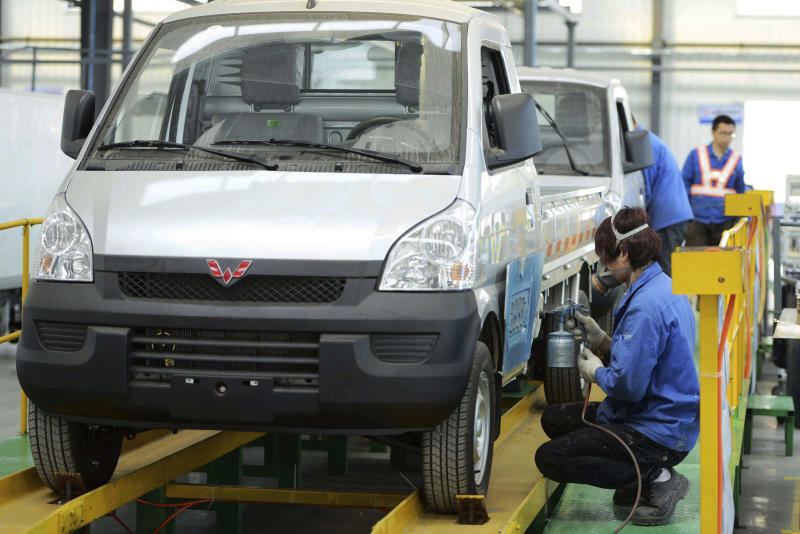 GM's joint venture with state-owned Shanghai Automotive Industries Corp. and Liuzhou Wuling Motors Ltd. sells its Hongguang minivan for as little as 45,000 yuan ($7,500). Wuling sold 81,200 of its new Hongguang S in January. That exceeded combined sales for Chinese automakers Geely, BYD and Great Wall Motors Co. Without the Hongguang in the market, "these customers would have chosen a domestic branded car instead," said Bernstein's Warburton. The crush of competition is partly self-inflicted following repeated strategy changes by Chinese leaders who are trying to create global competitors by decree. In the 1990s, foreign automakers that wanted to manufacture in China were required to do so through state-owned partners. Planners hoped local manufacturers would learn from them and strike out on their own. That fueled the growth of cash-rich but unambitious companies such as Shanghai Automotive Industries, which assembles vehicles for GM and VW, and Dongfeng Motor Corp., the partner of Japan's Honda Motor Co. and Korea's Kia Motor Co. Both have launched their own brands but make most of their money providing support to global partners. After 2000, Chinese leaders changed course and threw support to ambitious independent brands such as Geely, Chery Inc. and Great Wall. 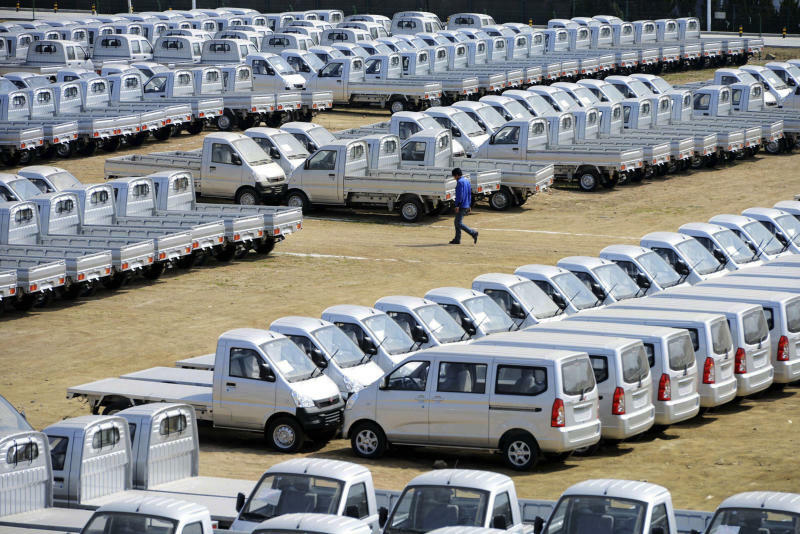 Governments of cities and provinces were ordered to favor them in buying official vehicles. Planners have taken yet another tack in the past five years, requiring global automakers to set up indigenous brands with Chinese partners as the price of being allowed to expand their own production. GM and Nissan have made their indigenous brands a low-priced extension to their product range. They are penetrating lower-income cities and the countryside where Chinese brands once dominated. Sales of GM's Baojun brand, which is another joint venture with SAIC and Wuling, rose 19 percent last year to 100,498 vehicles. Some Chinese automakers have responded by expanding abroad. In February, Dongfeng injected 800 million euro ($1.1 billion) into struggling PSA Peugeot Citroen, France's biggest automaker, in exchange for a 14 percent stake. Peugeot executives say they will use the tie-up to expand faster in China. China's auto market has cooled since its growth peaked above 40 percent in 2009 but still is the world's fastest-growing. Sales should reach a record 23.3 million vehicles this year, according to LMC Automotive. GM and its Chinese partners sold nearly 3.2 million GM-brand vehicles last year. China's biggest independent brand, Chery, sold a total of 375,000 vehicles. Still, Chinese automakers are making progress in design and some might catch up within five years, said LMC Automotive analyst John Zeng. Chinese brands including Chery and Geely also are suffering from lack of new models over the past two years but several are preparing to release new vehicles that should help to fix that. "We probably will see their performance improve once their new products make it to the market," said Zeng. AP researcher Fu Ting in Shanghai contributed.